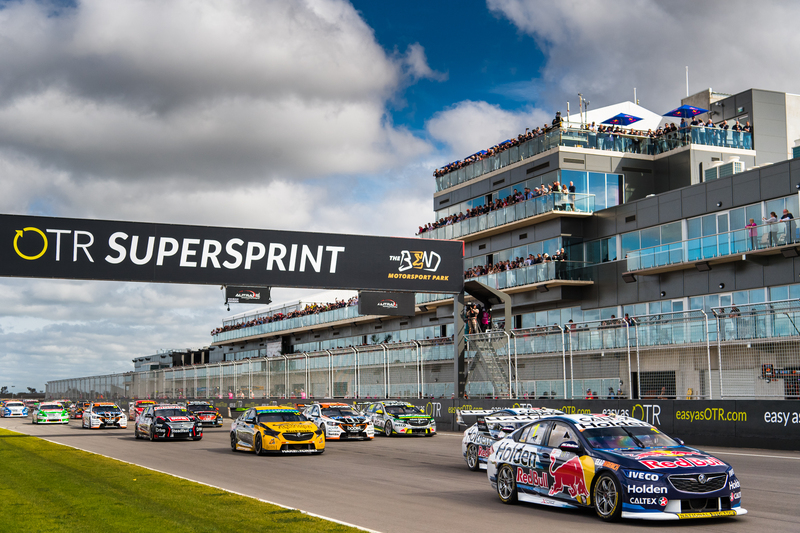 Next year’s Supercars Championship grid is beginning to take shape now the deadline for entering Racing Entitlement Contracts for 2019 has passed. It appears the series will shrink from 26 cars by one entry at least with Triple Eight confirming to Speedcafe.com that it has not entered or sold its third REC to another team for next season. Last Friday was the official cut off for RECs to be entered for the 2019 championship although Triple Eight had previously indicated that it expected to hand back the entry, which has underpinned Craig Lowndes since 2016. Supercars will put the REC out to tender once the championship has completed the necessary legal procedures. It is not yet clear if any other RECs have been handed to back to Supercars with the series unable to confirm the number entries for 2019 when contacted by Speedcafe.com. Matt Stone Racing had been expected to be a factor in the REC market but has now confirmed it will continue to lease the entry owned by Jason Bright next year. The Supercars rookie squad had entered a two-year lease deal for 2018 with Bright, but indicated a desire to own a REC outright last month. Bright revealed there had been some discussions surrounding his contract but Matt Stone has now revealed that his team will field an entry for Todd Hazelwood under the same structure. “It was a bit of a crazy REC market and we are interested to cement our place and be the owner of a REC, but we will continue with the deal we have with Jason and work on buying his or one of the other ones (RECs) next year,” Stone told Speedcafe.com. There has been speculation that Nissan Motorsport could downsize following the loss of factory backing for next year, but team owner Todd Kelly has affirmed his outfit will continue to run four Altimas next year. Although he admits driver line-ups are yet to be resolved. “I have always said we would remain with four cars and that is what we are doing,” Kelly told Speedcafe.com. Likewise, Tickford Racing boss Tim Edwards maintains his Ford squad plans to run four Mustangs in 2019. The outfit purchased a REC last year from Lucas Dumbrell Motorsport to retain its four car set-up after Bright took his contract to MSR following his retirement. Tickford is however yet to resolve talks with driver Mark Winterbottom, who is out of contract at the end of the year, and has been linked to a move away from the operation, with Preston Hire Racing named as a possible destination. “We are working on (staying as we are for next year) at the moment but at this time of year everyone is speculative as they try to lock in their plans for next year,” Edwards told Speedcafe.com. “Just about the whole pit lane will say what they are planning on doing but not many people will have all their sponsors locked in for next year and that is the window we are in at the moment. Preston Hire Racing team owner Charlie Schwerkolt told this website in July that all options were being evaluated for next season, but has confirmed that his REC has been entered for 2019. Fellow one car team Tekno Autosports is yet to announce its plans with owner Jonathon Webb unable to be reached by Speedcafe.com on Monday. Prior to the Rabble.Club Sandown 500 team manager Adrian Burgess suggested the squad would remain in its current structure in 2019, while downplaying talk the outfit planned to sell its REC. The Queensland operation currently fields a single Triple Eight built Holden for rookie Jack Le Brocq. Speedcafe.com expects Tim Blanchard to continue to run his REC out of Brad Jones Racing.